Please click on the DESCRIPTION tab below to view important information about the various available print options and edition information. Due to production time, all items ship out 10-15 days after order is placed. For international shipping, please CONTACT US for pricing. 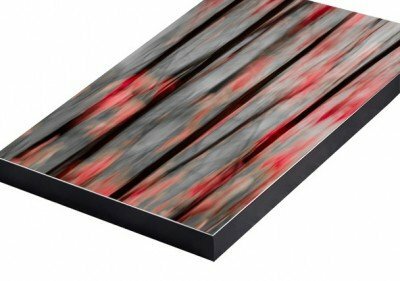 Sublimation prints on aluminum result in wonderfully brilliant colors on a fascinating material. 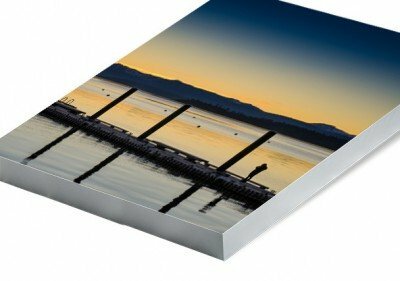 The ultra-thin glossy or matte aluminum surface gives images an exciting and distinct accent with a spectacular luminescence, vibrancy and depth not available in any other format. HD metal prints are scratch proof, weather proof, extremely light, easy to clean, and have an archival lifespan 2 to 4 times longer than traditional silver gelatin prints. You can display your HD metal prints indoors or outdoors, in the kitchen or in the bathroom, in the living room or even in the sauna. The metal print is fused to a 1/4″ thick black sintra backing and aluminum hanging rails are inset on the back of the print for that float-off-the-wall look. 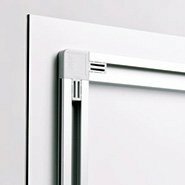 Flush mounted onto a 1.25” deep brushed metal frame available in either black or silver. Details appear razor sharp in images that loom in the depths. Acrylic prints enhance the luminosity of images and give them depth. 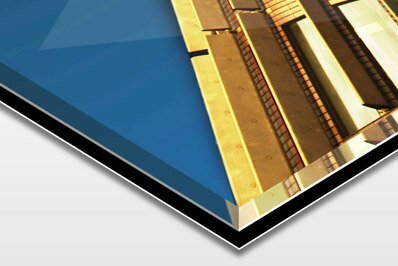 In addition to the many optical advantages, acrylic glass is notably lighter and tougher than traditional glass. It also offers natural protection against UV rays, thereby helping to prevent loss of color. 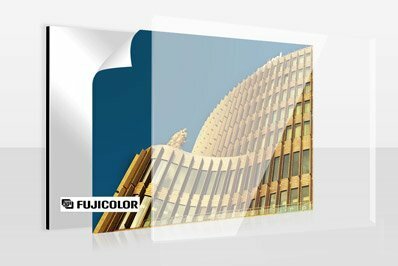 In a delicate process, the image is sealed behind a polished, premium acrylic glass sheet. Printed on Kodak Metallic paper and sealed behind a polished 0.08″ crystal clear acrylic glass. Because of their metallic nature these prints have an amazing glow when the light hits them as the viewer moves around. It has to be seen in person for the effect to be fully appreciated. 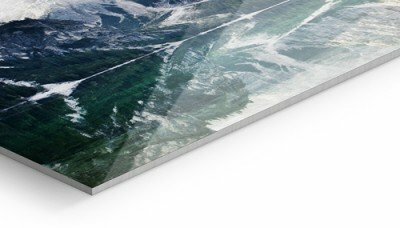 All acrylic prints are mounted onto 1/8” thick, aluminum Dibond backing which is known for its extreme stability and low weight. The composite material consists of two platinum-white aluminum sheets and a polyethylene core. The remarkable strength of aluminum Dibond sets it apart from other lightweight foam boards – it almost never loses shape. Even oversized and panorama formats are produced in gallery perfection. All acrylic prints come with an inset hanging hardware on the back of the print for that float-of-the-wall look. Acrylic prints look their best with added spot lighting. All fine art giclée prints are printed using archival quality pigment based inks on premium archival semi-gloss photo rag paper, and have at least 1” of white border all the way around. All items are shipped in sturdy packaging. Fine art prints are rolled and shipped. FREE SHIPPING to anywhere in the United States! For international shipping please CONTACT US for pricing. * We are not responsible for any customs charges incurred in the country of delivery. We pack prints carefully, but should your print be damaged in transit, please let us know as soon as possible after your print arrives. To initiate the process please contact us via our CONTACT FORM. We’ll then send you instructions on how to email us photographs of the damaged print and packaging. Once we have confirmed the damage, you will be sent a replacement free of charge. 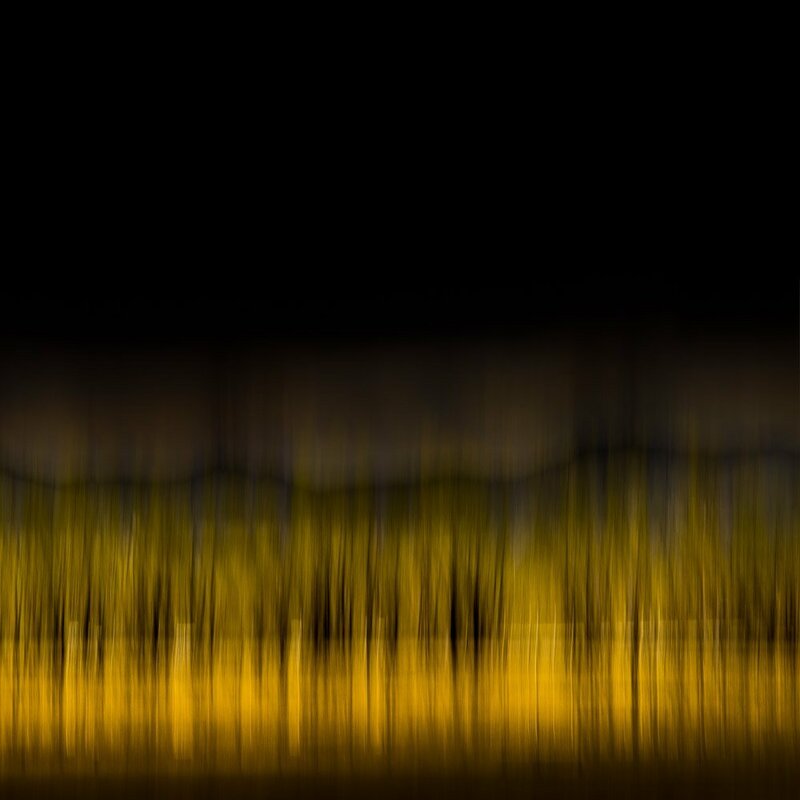 * All abstract photography effects are done in-camera, while shooting, using manual techniques. All images are under copyright and may not be reproduced or resold without prior permission from the artist. All rights reserved by the artist. © Copyright 2015 – Maziar Mahjoobi. 10" x 10", 12" x 12", 14" x 14", 16" x 16", 20" x 20", 24" x 24", 30" x 30", 36" x 36", 40" x 40", 48" x 48", 54" x 54", 60" x 60", 70" x 70"
Copyright © 2019 Maziar Mahjoobi. All Rights Reserved. Website Design by No Mind Design.